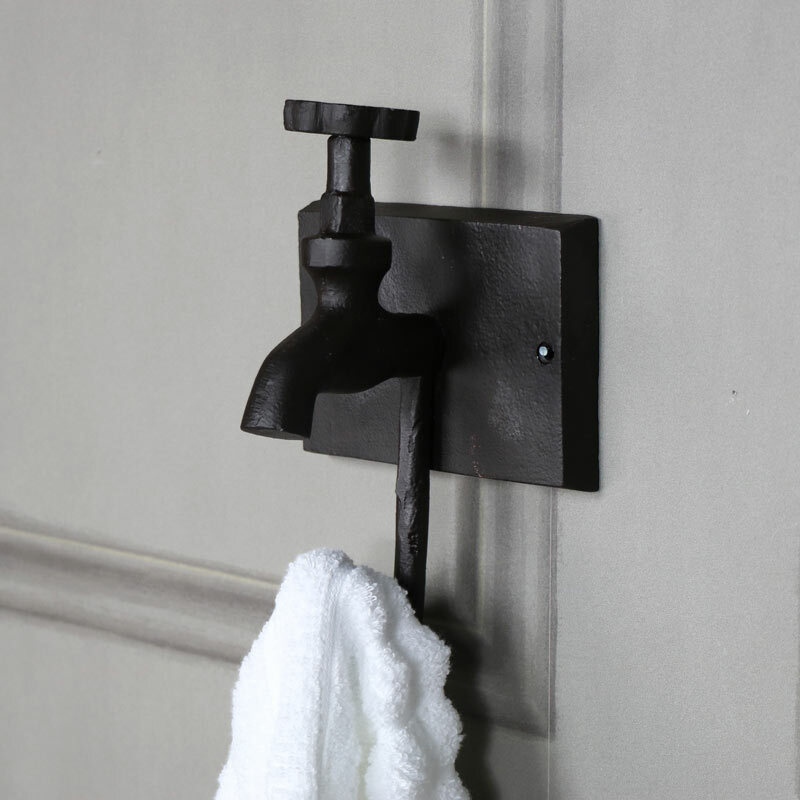 Accessorise your bathroom in an industrial style. 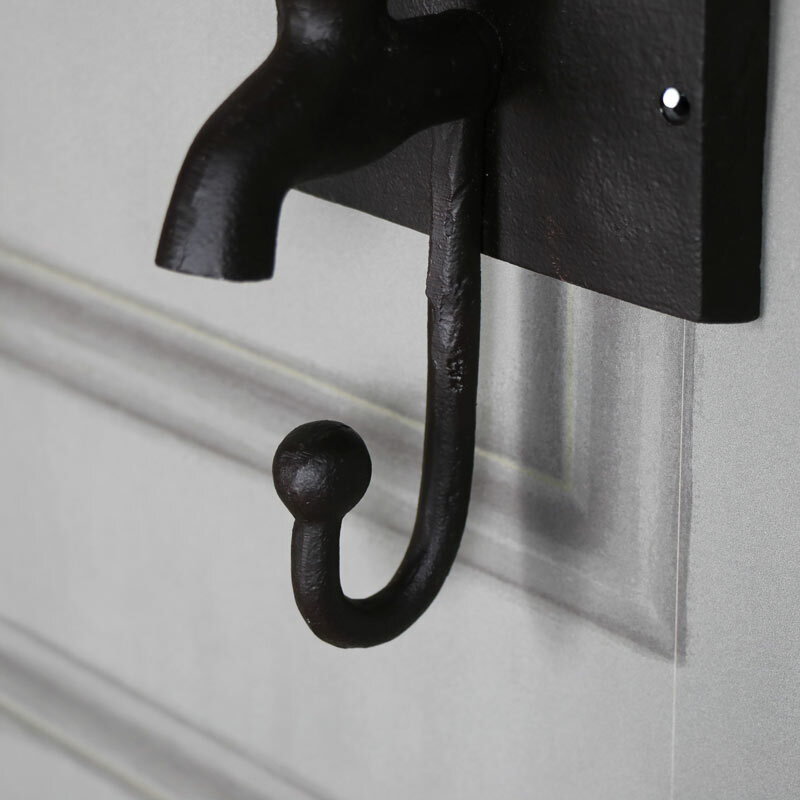 This wall hook is fantastic for adding a rustic and retro industrial look. 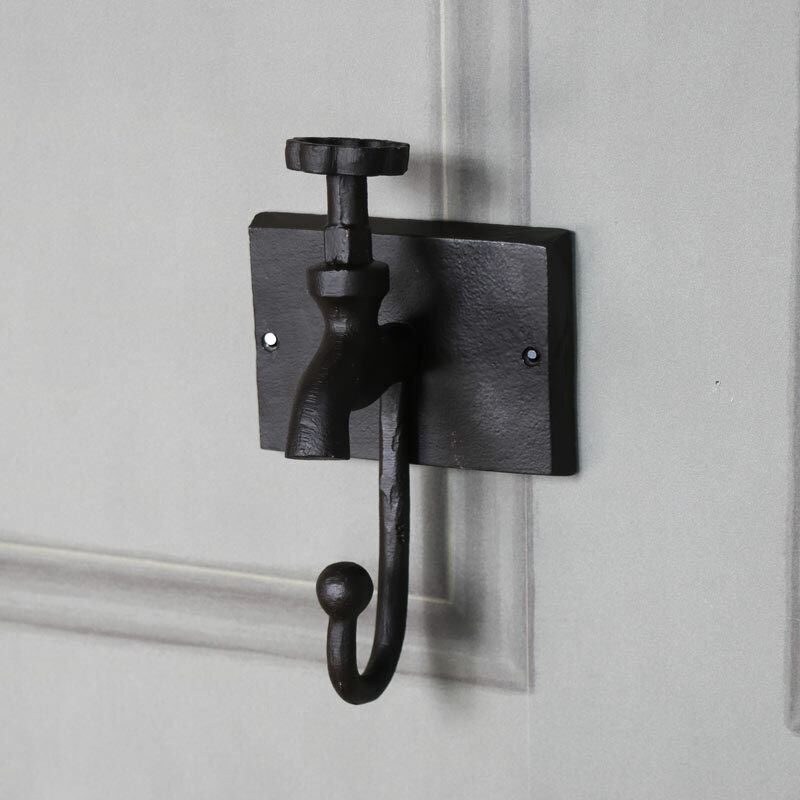 Great for adding some character to your bathroom, this wall hook comes in the shape of a tap, giving a great industrial style feel to the room. 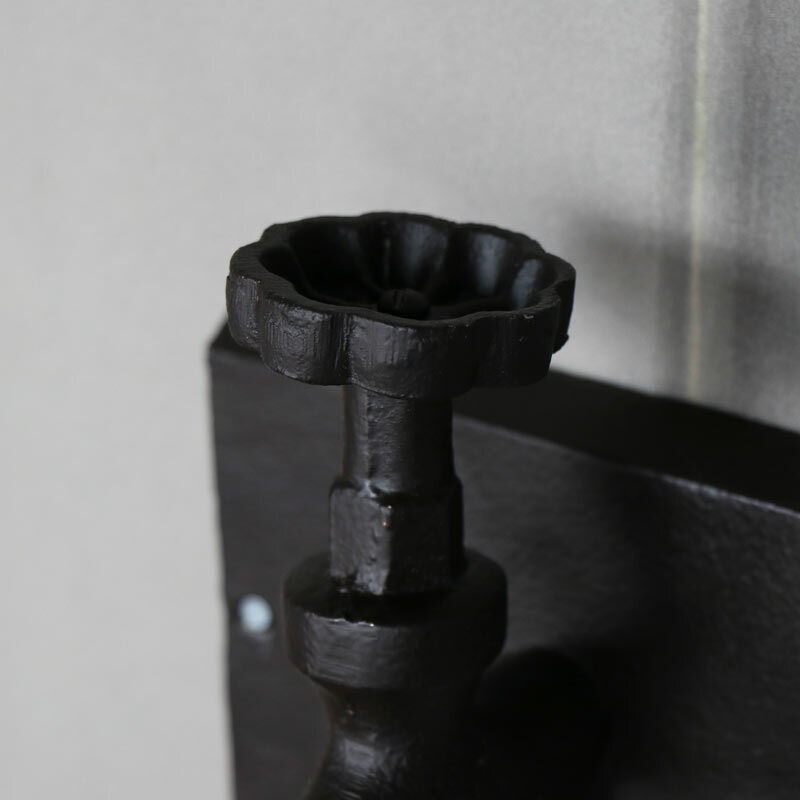 Made from metal in a rustic brown/black finish, this is easily wall mounted with 2 pre-drilled holes (screws not included).